This fantastic guest post was written by Megan Kelly, a nutrition practitioner, licensed esthetician, and specialist of quantum hormonology. We encourage you to check out her website here! Traditional brownies usually contain inflammatory ingredients including flour, processed sugar, and pasteurized hormone filled dairy. Brownies also spike your blood sugar which then spikes your cortisol(stress hormone) and insulin (fat storage) causing imbalanced hormones, weight gain, and mood issues. 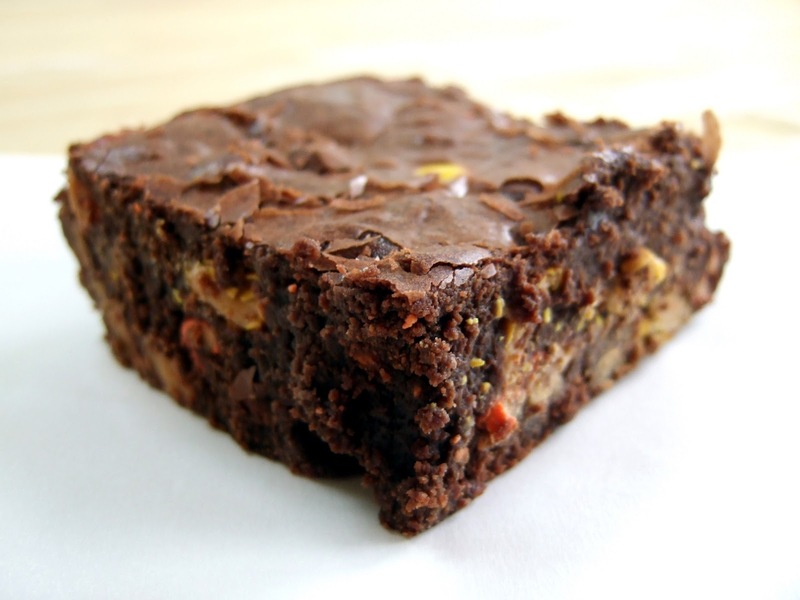 These brownies are full of healthy fats, fiber, and antioxidants. They contain the perfect fudgy texture that will leave even the pickiest of eaters surprised when they find out what it is made out of. Avocados are one of the most nutrient dense foods on the planet. They are loaded with a combination of critical fatty acids, antioxidant phytonutrients and essential amino acids making them one of the best anti-aging superfoods to consume. This amazing fruit is also very high in healthy oleic acid, a monounsaturated fat that helps increase fat metabolism. It is also rich in the powerful carotenoid antioxidants lutein and zeaxanthin as well as Vitamin E (tocopherol). These antioxidants decrease oxidative stress and allow for a healthier cellular environment. Other critical components include ionic potassium and folate. These elements are alkaline forming in the body, helping to buffer acidic wastes that accumulate within the human tissue and bloodstream. In a food processor or blender, combine all ingredients except chocolate chips and mix until well combined. Stir in the chocolate chips and transfer to the loaf pan. The batter will be very thick and sticky so with the back of a spoon- level out the batter across the pan as evenly as you can, edging it into the corners and smoothing the surface. Megan Kelly is a Nutrition Practitioner and Licensed Esthetician specializing in neurobiology and quantum hormonology. Her work guides people on how to transform their body and mind through functional nutrition, mental and emotional training, and habit mastery. Megan speaks and educates on how to create the healthiest body possible and how to use your mind daily to experience the incredible life you were created for.